By now, it should be clear that using private email and messaging apps for official government business is not allowed. 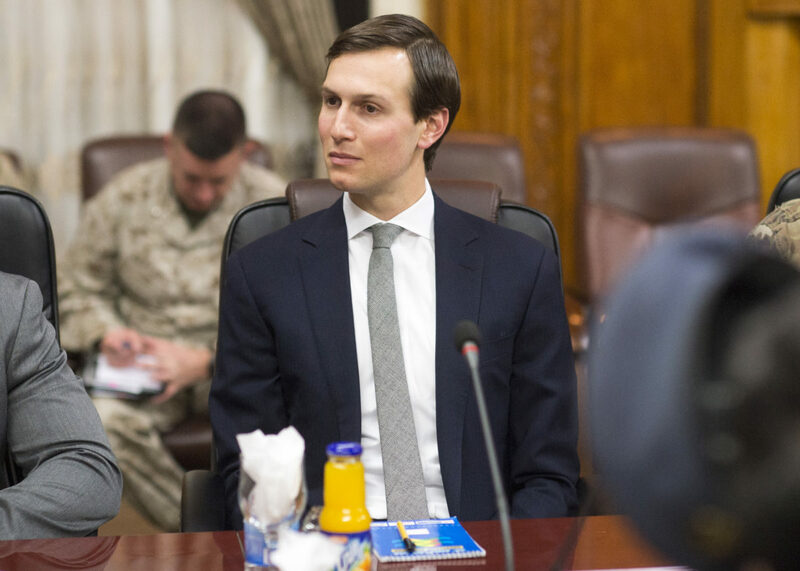 But a House Oversight and Reform Committee letter sent to the White House on Thursday says that Jared Kushner, President Donald Trump’s son-in-law and senior adviser, has been using the WhatsApp messenger for work, in violation of the law. Just four months ago, Ivanka Trump came under fire for using a personal email account on hundreds of occasions — a discovery made by White House officials that was prompted by American Oversight’s lawsuit in 2017. Following the Washington Post’s report, American Oversight called on Congress to investigate and filed a lawsuit with six federal agencies to uncover the extent of her and Kushner’s personal email use. We also filed FOIA requests to multiple agencies for records of communications with the agencies, the White House, and the couple’s law firms. Thursday’s Oversight Committee letter says that members of Congress learned of Kushner’s and Ivanka Trump’s actions through a conversation with the couple’s lawyer, Abbe Lowell, and that Ivanka Trump has been receiving official emails on her personal account without forwarding them to her official email as required by the Presidential Records Act. In November, American Oversight also requested that the National Archives and Records Administration provide communications about the preservation of emails that Ivanka Trump sent with a private account, and in December received a response that it had no such records. Other officials mentioned in the letter include former deputy national security adviser K.T. McFarland and former White House strategist Steve Bannon, who used personal accounts to discuss the “transfer of sensitive nuclear technology to Saudi Arabia.” The push by Trump administration appointees to sell nuclear power technology to Saudi Arabia, in potential violation of the Atomic Energy Act, was the subject of an Oversight Committee report last month. You can read more about our investigation into those efforts here and see the documents we’ve already obtained, which reveal possible connections to Kushner and to longtime Trump friend Tom Barrack, and meetings involving Treasury Secretary Steve Mnuchin, Commerce Secretary Wilbur Ross, and Energy Secretary Rick Perry. Housing and Urban Development Secretary Ben Carson appeared on PBS NewsHour this week, answering questions from correspondent Yamiche Alcindor about records American Oversight uncovered — including 2017 calendars showing multiple long weekends in Florida and emails revealing his involvement in the selection of a $31,000 dining set. Carson’s defense? That American Oversight and critics are “extraordinarily wrong” to be focusing on that “narrative.” The records we’ve obtained speak for themselves. The Pentagon’s inspector general has opened an investigation into possible ethics violations by Acting Defense Secretary Patrick Shanahan. Following a January report by Politico that while in office Shanahan had been promoting Boeing — where he worked for more than three decades — American Oversight filed FOIA requests for Shanahan’s ethics determinations and his communications with his former employer. The department failed to respond, and two weeks ago, we sued to force the release of the documents. While we investigate Shanahan’s ties to Boeing, we are also questioning the Defense Department’s response to FOIA requests we sent last fall for talking points prepared for Shanahan’s June 2017 Senate confirmation hearing. The department claims that it has no such records, which would be implausible enough on its face, but even more so considering video from the hearing of Shanahan consulting notes. The Department of Homeland Security issued a similarly questionable response last month to our request for records of communications between DHS political appointees and representatives of Ballard Partners, the fast-growing and influential lobbying firm with ties to President Trump. DHS has claimed that it could not locate any records, despite the existence of numerous lobbying disclosure reports indicating that Ballard Partners is lobbying the department on behalf of clients that are collectively paying hundreds of thousands of dollars. Last summer, Education Secretary Betsy DeVos announced her department’s plan to revise the definition of a “credit hour,” the basic unit of higher education instruction and federal student aid, raising concerns that such changes would make it easier for for-profit institutions to exploit the loosening accountability standards. As rulemaking subcommittee meetings take place over the next week, American Oversight has filed a FOIA request for records of communications between the agency officials and outside accrediting organizations. Men’s rights activist Kursat Pekgoz has filed multiple Title IX complaints against universities, claiming that women’s studies programs and women-focused scholarships discriminate against male students. The Department of Education’s Office of Civil Rights has launched formal investigations into complaints of male discrimination — notably at a time when Secretary DeVos has proposed significant changes to Title IX regulations on sexual assault. We’ve filed a FOIA request for records of communications that department officials may have had with men’s rights organizations and attorneys representing those accused of campus sexual assault. Earlier this week, the State Department held a briefing call with Secretary Mike Pompeo, in which only “faith-based” media outlets were allowed to participate. So far, the department has refused to release a transcript or other details of the call. We immediately filed FOIA requests for information about who was invited or allowed to be on the call, as well as for transcripts, recordings, and prepared remarks. Prior to joining the Trump administration, Health and Human Services Secretary Alex Azar served as president of the drug company Eli Lilly, and is recused from working on issues that affect the company or other health-care industry groups he was previously involved with. We’re asking for records of any communication he’s had with those groups, and we’re also seeking his communications with major drug companies like Johnson & Johnson and Pfizer as well as with groups based in his home state of Indiana. This week, American Oversight filed a lawsuit for documents that could shed a light on White House Senior Adviser Stephen Miller’s influence on immigration policy across the federal government. The Departments of Homeland Security, Justice, State, and Health and Human Services failed to provide records in response to our FOIA requests, prompting the lawsuit. Emails released by the Office of the U.S. Trade Representative show that Miller maintained a steady stream of contact with trade officials in 2017.